I love getting requests to make things for other people. Not only does it feed my crochet addiction, I'm able to make a gift that someone will really enjoy. I love seeing people's reactions when they see a beautiful hand-made piece, and that makes me really happy knowing that they appreciate it so much. 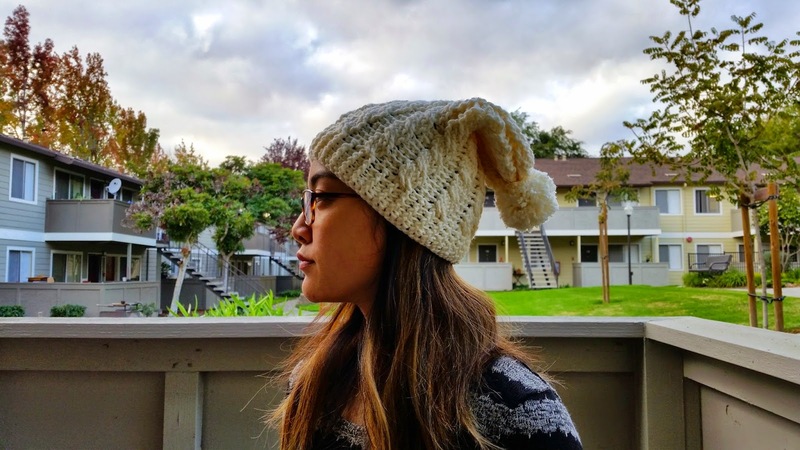 I was searching around for a slouchy beanie, and I remembered I had seen one on All About Ami. 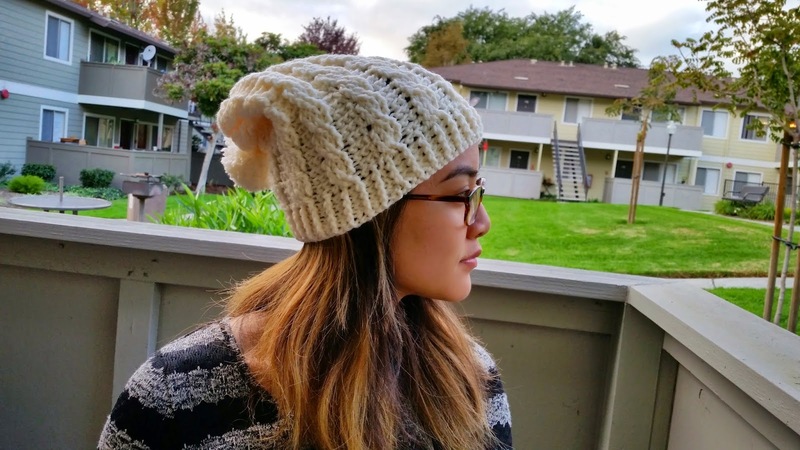 If you want some really adorable, free crochet patterns, definitely check out her page. 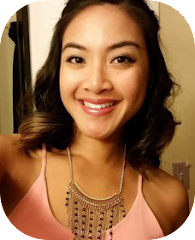 She has a ton of great tutorials that are so much fun to make. 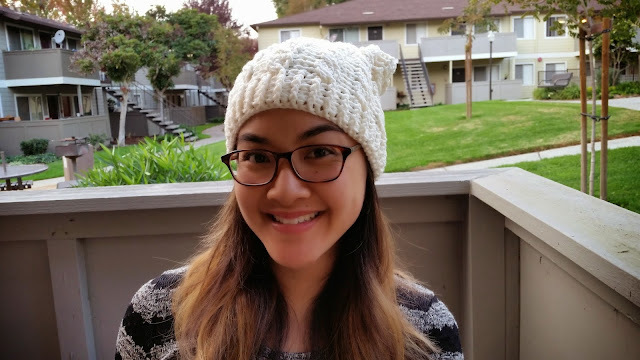 I used her Cabled Slouchy Beanie pattern to make this beanie as a gift for my co-worker's fiance. Like all of her patterns, there are a lot of pictures to help you out. But even without the pictures, her pattern is really well written and easy to understand. Cables are great for crochet because once you figure it out, you can incorporate them into any crochet project that you want some beautiful texture in. My Cabled Boot Cuffs were my first pattern with cables, but definitely won't be my last! In that pattern, I show you how to make the stitches necessary for cables. Make a chainless double crochet foundation (or foundation double crochet (fdc)) until it fits around your head, making sure that the foundation is a multiple of 6+1. In my case, I made a foundation that is 73 double crochet. The multiple of 6 is required for the cabling pattern, and the +1 is for the brim. 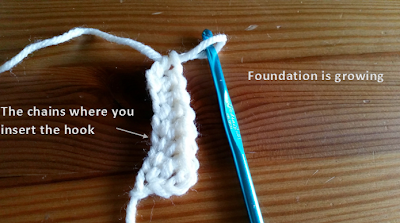 To make a chainless double crochet foundation, first chain 4 (leave about a 6 inch tail). Yarn over, insert hook into fourth chain from hook. Yarn over, pull up a loop. Yarn over, pull through one loop (chain one made). Now complete the double crochet as usual. Yarn over, pull through two loops. Yarn over, pull through last two loops. You've completed your first fdc. Yarn over, insert hook into the chain one made from the first fdc. Yarn over, pull up a loop. Yarn over, pull through one loop (chain one made). Yarn over, pull through two loops. Yarn over, pull through last two loops. Second fdc is complete. We are working the foundation vertically instead of horizontally. 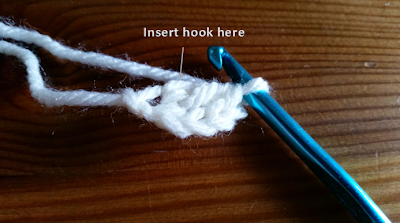 When you pull through one loop first (the chain one), it is building the chain that is underneath the double crochet. It helps me to keep my thumb on the chain one made (when you pull through one loop) so I know where I am going to insert the hook for the next stitch. The first few are a little tricky, but once your foundation grows, it'll be easier to see where you insert the hook and it'll go really fast. 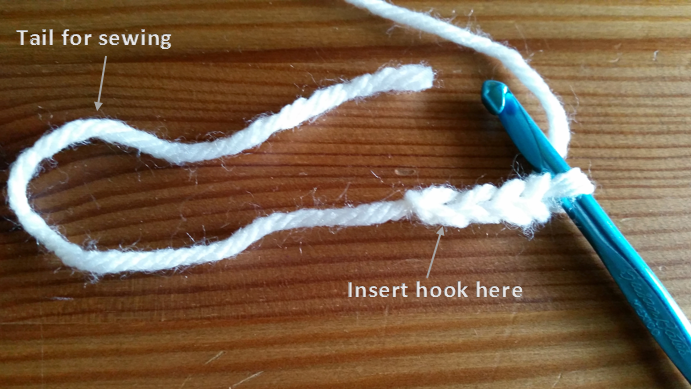 Alternatively, if you don't like the chainless foundation, you can make a chain and make double crochets across. I find that the chainless foundation makes a cleaner edge, and, once you get the hang of it, can be faster than chaining and making stitches across. Repeat this until your foundation fits around your head and is a multiple of 6+1. 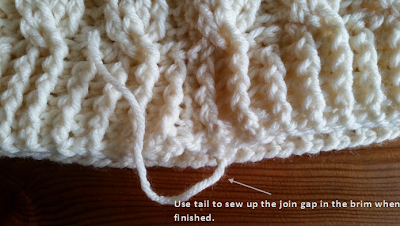 Join with slip stitch to the beginning to make a circle, being careful not to twist it. You will use the tail from the initial chain 4 to sew up the rest of the circle when finished with the beanie, so don't worry about the little gap. 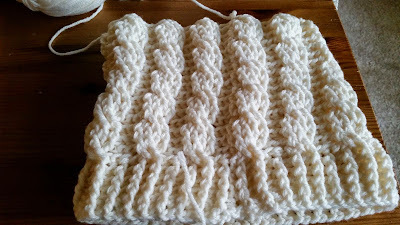 Now chain 2 and make 4 rows of alternating front post double crochets (fpdc) and back post double crochet (bpdc) to get the ribbing effect on the brim. Chain 2 at the beginning of each row (does not count as a stitch). My Cabled Boot Cuffs Pattern has fpdc and bpdc instructions if you need them. When joining, slip stitch in the top of the fpdc/bpdc, not the chain 2. 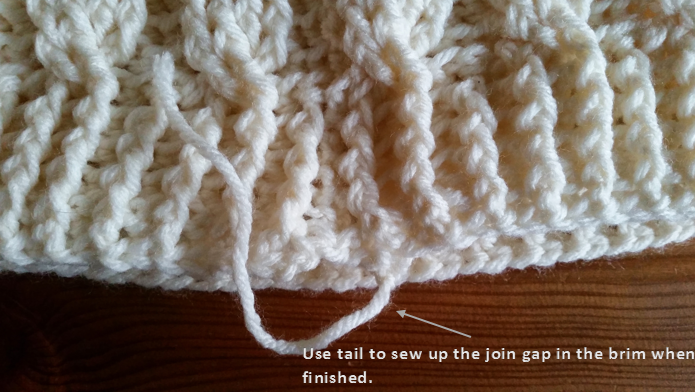 Now follow Stephanie's pattern as follows, starting from R2-R4 of the Cabled Body section. She emphasizes that the chain 2 at the beginning of each round does not count as a stitch, and when joining, you will be joining with a slip stitch in the double crochet, not the chain 2. 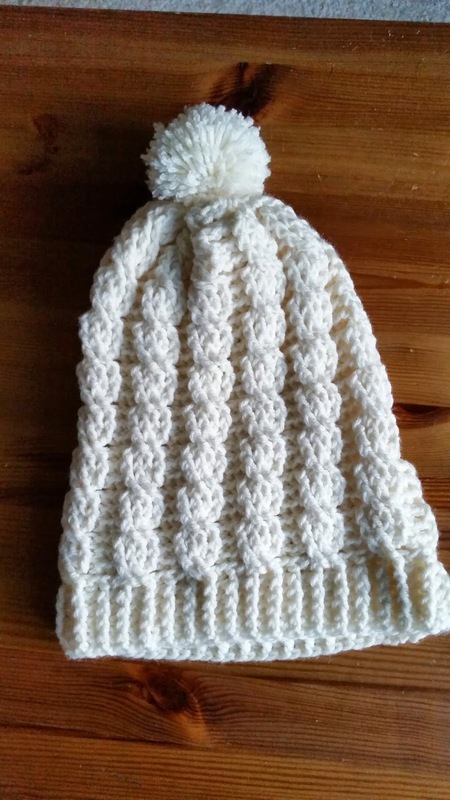 I closed the top of the beanie by using a tapestry needle to weave around the stitches at the top, then pulling it tight. Then I sewed up the top to completely close the hole. 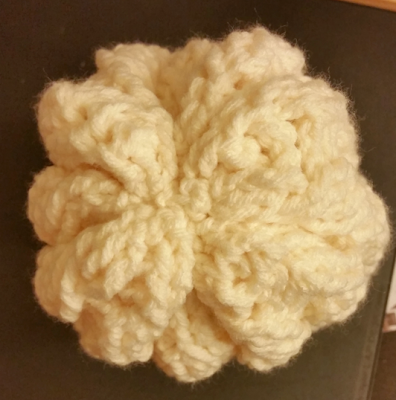 I don't have a pom pom maker, but I was still able to make one without it with only two thin pieces of cardboard. An old cereal box would work great. I used this tutorial from Pearls & Scissors to make my pom pom. Her pictures are very clear and it's very simple! The more you wrap the yarn around the cardboard, the fuller your pom pom will be. The key to any pom pom is how full it is, and also the haircut you give it. It'll be hard to stop cutting while you trim it to perfection, but sometimes you have to learn when to put the scissors down. Believe me, when I was trimming my pom pom, I spent way too much time over the trash can finding any stray strands of yarn to cut. And even when I put the scissors away, I ended up getting them out again two or three more times to cut just a little more. I'm pretty sure I can sit and trim it all day, but I think I'm happy with what I've got now. When tying the knot around the pom pom between the two pieces of cardboard once you've cut it, leave a long tail for sewing to the beanie. Once you sew on the pom pom, you're finished! My beanie turned out to be 11.5 inches long (minus the pom pom). I love the way it turned out. It's the perfect accessory for fall and winter.